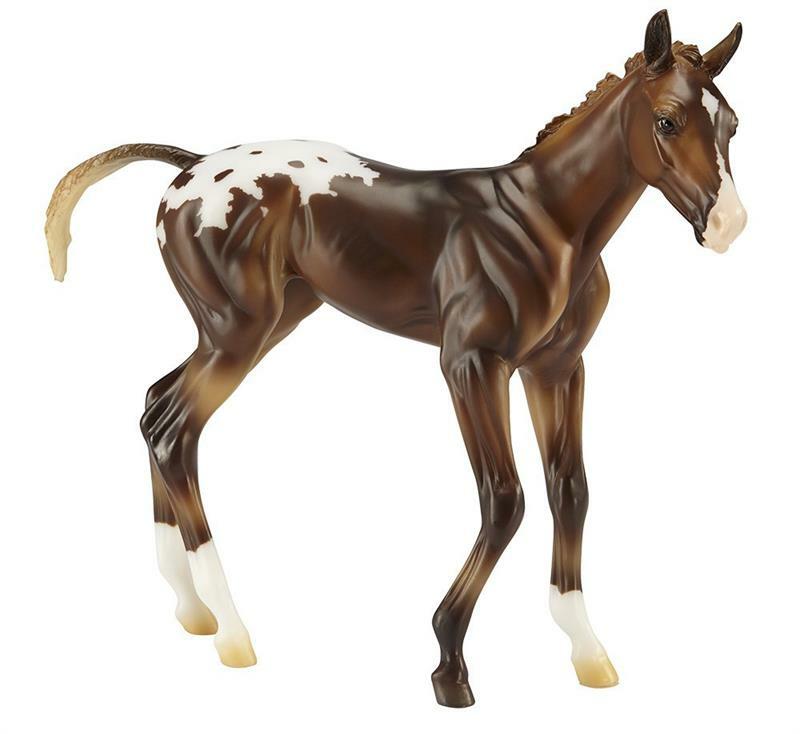 Nothing is more delightful than seeing a foal experience the world and Breyer's Springtime Filly Espresso is particularly winsome! 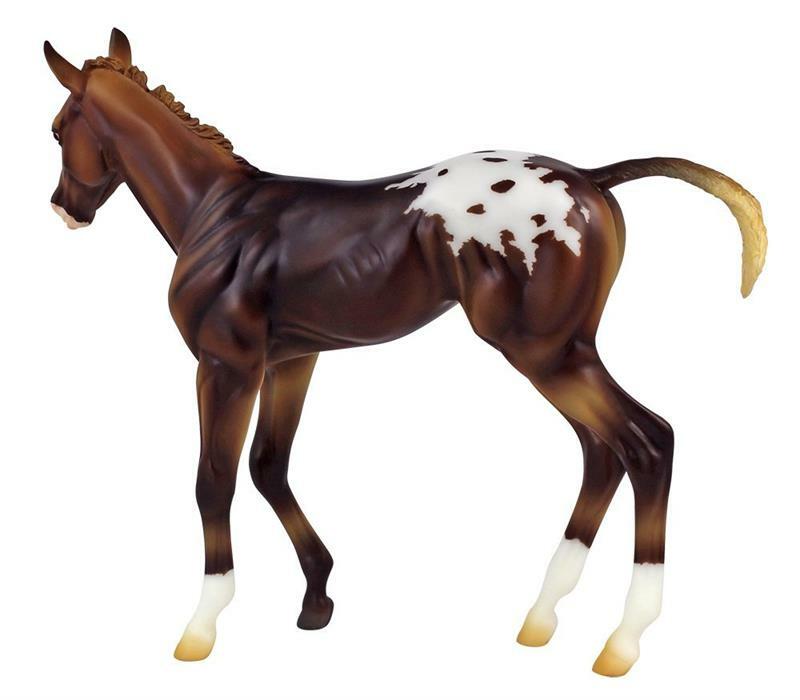 Espresso is an impressive 1/6th scale, measuring approximately 10" at the ear tipos and captures the sweet, slightly awkward mien of a foal! 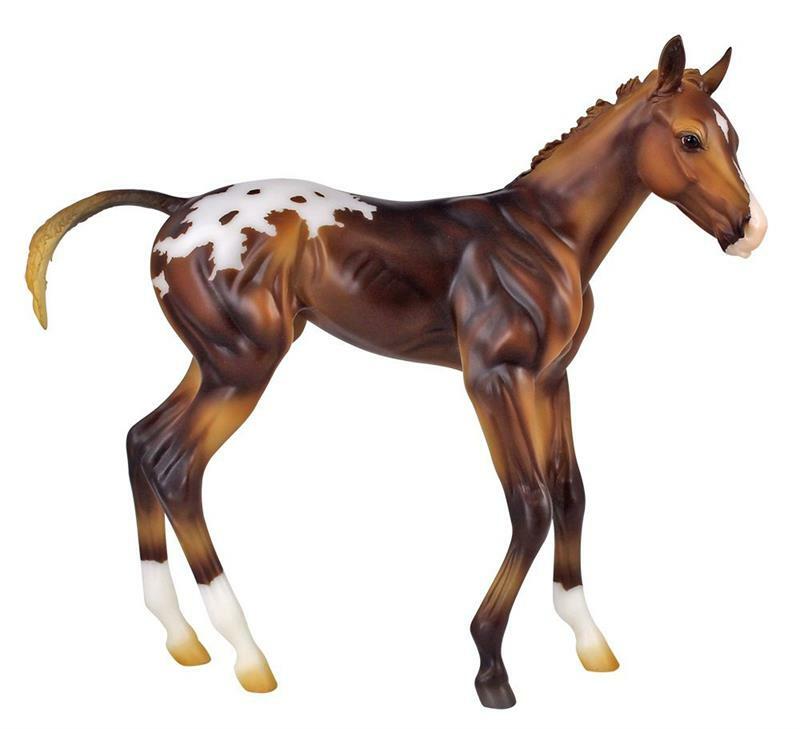 She is a liver chestnut blanket Appaloosa filly with a star and a large snip and 3 white socks. 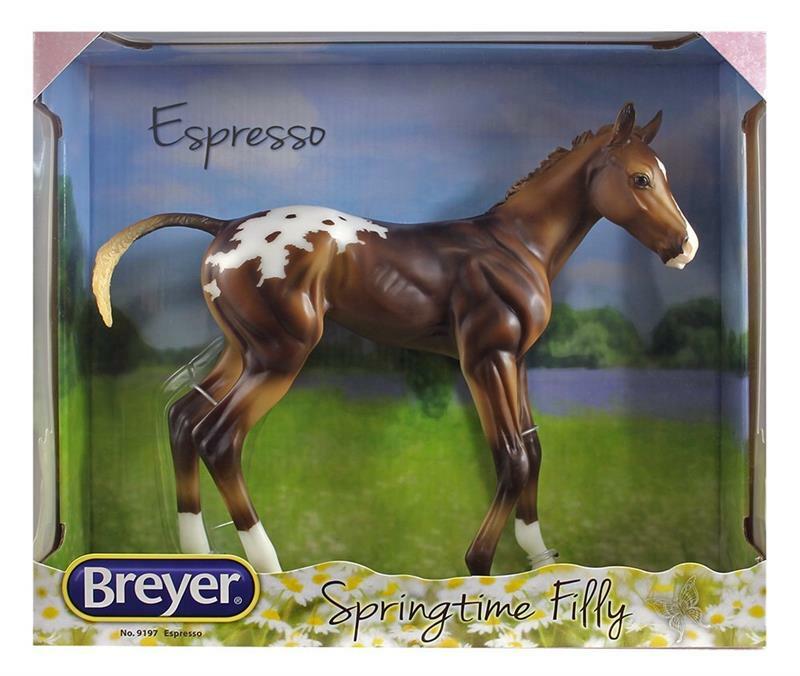 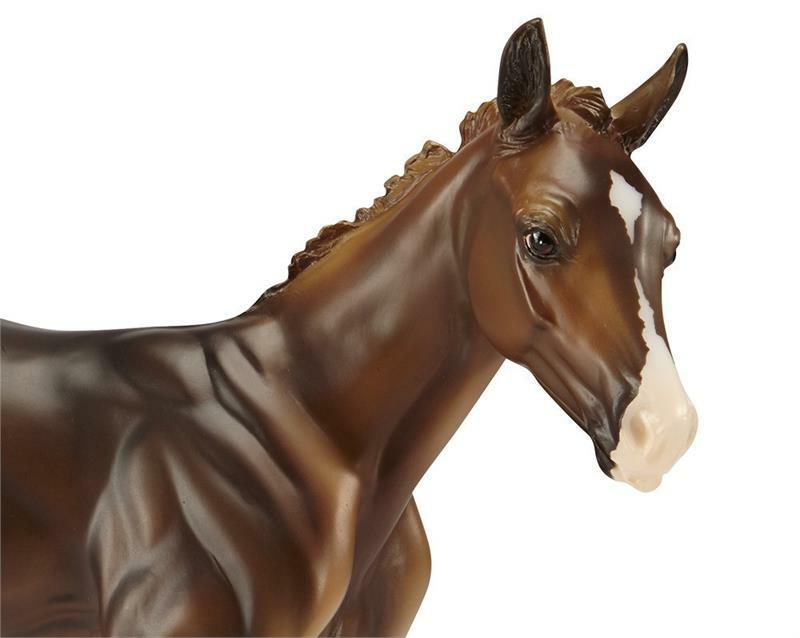 Espresso is the Second Model introduced into Breyer's 1:6 Scale Series.